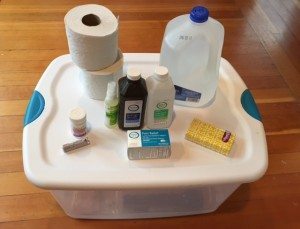 Join Us in Gathering a Budget-Friendly Disaster Supply Kit! Total spent this phase: Approximately $40. Don’t be alarmed- this is the most expensive phase! 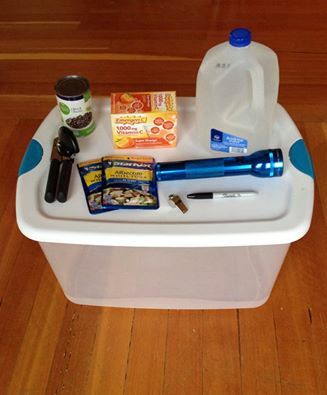 Phase One tip: Put food you would normally eat in your disaster kit. Your body will be stressed after an emergency so it’s best to eat things that your system is accustomed to. Total spent this phase: Approximately $20. Phase Two tip: When you run across useful disaster kit items that are Buy One Get One Free at the store, buy one for your home, then get one FREE for your emergency supply kit! Follow along on Home Gnome’s Facebook page for the next phases! I was honored to be the guest on Five for Friday, a weekly blog post from Paris Group Realty. Paris Group is a wonderful group of amazing women who are sharp as tacks! Each Friday, they ask 5 questions of a person who works in the realm of homes. You won’t believe what I say about mold & mildew! Read the interview here.